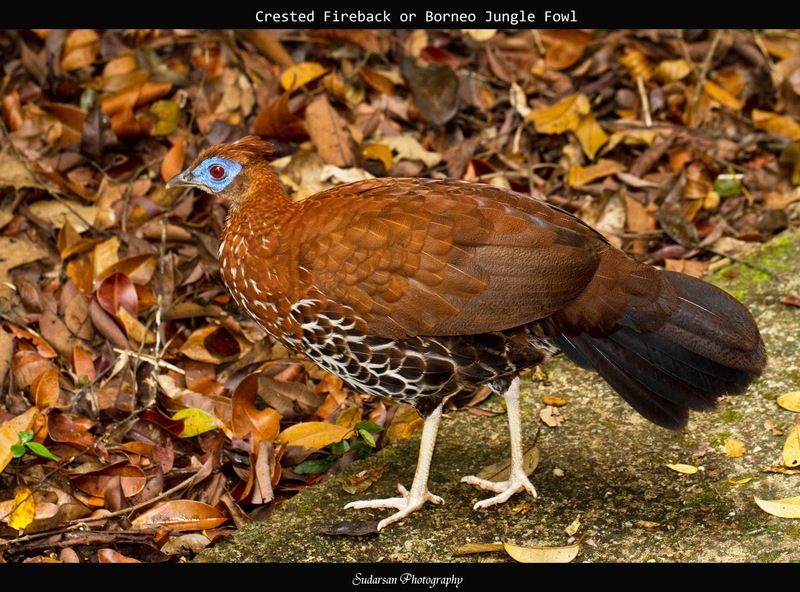 The Crested Fireback pheasants (Lophura ignita ignita) which are endemic to the tropical rainforest regions of Borneo. Due to habitat destruction these pheasants are listed under Appendix III as a near threatened species. These are striking birds, particularly the males with their cobalt blue faces and dark metallic blue plumage. This photo was taken in Sama Jaya Park. 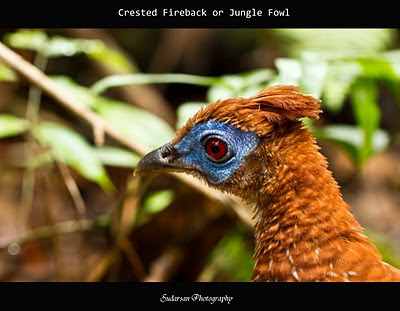 The male Bornean Crested Fireback pheasant is a splendid looking bird. 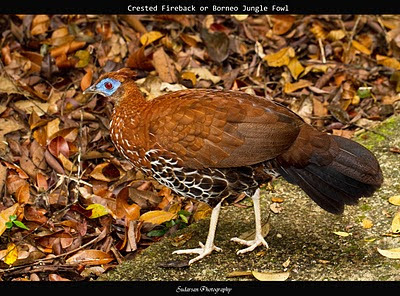 It has a mainly blue/black body with the metallic sheen seen in many of the pheasants. The face has bright blue wattles which are expanded to twice the size when the bird is displaying. The hen also has a blue face. Bornean's has a brown body and legs are grayish in colour. Bornean Crested Fireback are great birds to watch as they are often displaying and will spend much of their time putting on a good show for everyone see.